Abu Dhabi, Palm Jumeirah, and Dubai, oh my! We’re talking about the United Arab Emirates (UAE) today and get ready because there is a lot to cover. We’re here to make sure you travel the right way, though! Keep reading for the official Yonder Travel Insurance guide to traveling to the United Arab Emirates. As you might expect the United Arab Emirates is hottest during the summer. And when we say hot we mean really hot. The UAE is at its most hot and humid from mid-August to mid-September, so it’s probably best to avoid those months. We suggest planning your trip to the UAE for either October, November, or December. That’s when the weather is at its most enjoyable. You can expect clear skies and temperatures in the 70s and 80s. The dress code in the UAE is a product of Sharia Law. Sharia Laws, and therefore UAE laws, are derived from the Quran and cover quite a lot. One of the most important things for you to know as a traveler visiting the UAE is that the entire country is dry. This means that UAE citizens do not drink alcohol and that you need obtain an alcohol license if you want to drink while you’re there. If you’re wondering “is Dubai under Sharia Law,” the answer is yes. The next point is a controversial one. Women are often treated as second-class citizens in the UAE. The UAE dress code for women is stricter than it is for men. This isn’t ideal, but it is how the county operates. This is especially true if you choose not to wear the traditional headgear. This isn’t to scare you, its to make you aware of something that is important for you to know before you visit the UAE. While UAE’s expensive reputation is rather well deserved, that doesn’t mean that you can’t travel there on a budget. Skip the decadent restaurants and elaborate hotels and try going off the grid. You can find reasonably priced and nice places to stay in the UAE with just a little bit of searching.Even in Dubai, the country’s largest and wealthiest city, affordable options abound. Try for example Al Ustad Special Kebab, a delicious and affordable Iranian restaurant and one of the UAE’s oldest, most historic dining establishments. The Mall of the Emirates is much more than a mall. It’s an enormous commercial complex with over 80 dining options and 500 entertainment choices ranging from indoor skydiving to skiing. Yes, that is right. Skiing. How do you go skiing in the desert, you ask? Well, The Mall of the Emirates actually includes a custom, one-of-a-kind mountain complete with snow, a ski-lift, and a Colorado-style ski-lodge. This thing really has to be seen to be believed. If skiing isn’t your thing, the mall has more traditional entertainment, like a movie theater. The Burj Khalifa is the world tallest skyscraper. The 160-story building offers a panoramic view of the entire city of Dubai, which from the top floor stretches out beneath you in every direction. 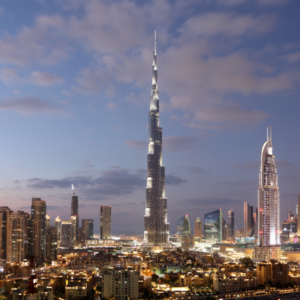 The Burj Khalifa also features one of the world’s fastest elevators. It can travel the entire height of the building, from the first floor to the 160th, in about two minutes. That’s pretty fast. We like to think of it as somewhere between a rocket ship and a Cadillac. The Sheikh Zayed Grand Mosque offers a unique blend of the past mixed with a little bit of the present. It has golden interiors, mosaic tiles, and glass work to rival Versailles. Visiting here is a must if you’re in Abu Dhabi and gives great historical insight into UAE laws. For those of you looking to spend some time outdoors, the Hajar Mountains are the perfect place. The jagged and wild looking rock formations sit at the geographic heart of the country. Hiking, trekking, and bird-watching: the The Hajar Mountains has it all. It’s a necessary stop for visitors looking to experience first hand the country’s cultural and historic roots. Remember, though, that even in the mountains you’re subject to UAE Sharia laws. 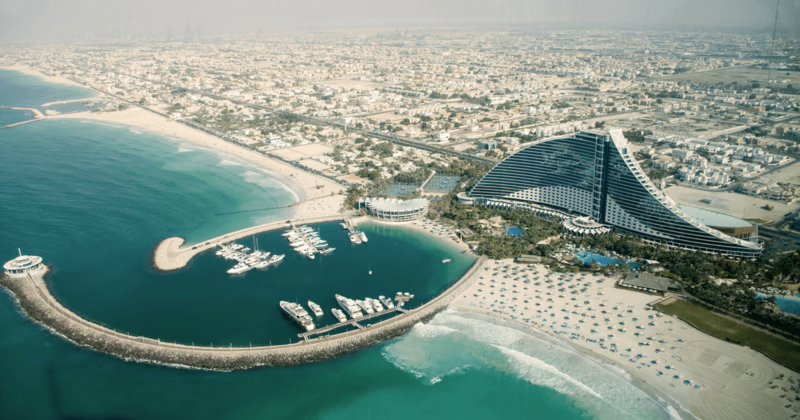 There you have it – everything from the dress code in the UAE to information on some destinations and attractions you don’t want to miss to a quick primer on UAE laws. Ready to hop on a plane and explore? 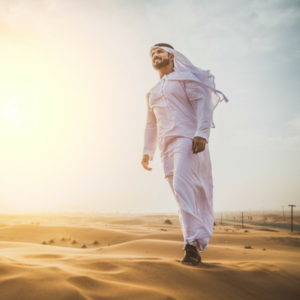 Begin your trip to the UAE by picking your travel style today! This will help us match you with the most affordable travel insurance options.